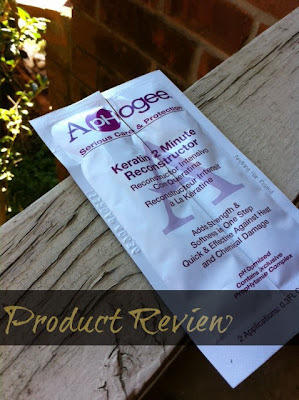 Details: Aphogee Intensive Two Minute Keratin Reconstructor is a concentrated blend of keratin amino acids, botanical oils, and vitamins that does wonders to restore strength and softness to hair that requires a deep, penetrating treatment. Directions: Gently shampoo hair with Aphogee Shampoo. Rinse thoroughly and towel as usual. Squeeze 1/2 ounce into palm. Using fingertips, work evenly through hair and into scalp. For maximum penetration, cover hair with warm towel, or plastic cap, for two minutes. My Thoughts: I decided to try this product out since I've been straightening my hair about every 2-3 weeks. I thought maybe I needed it but oh how wrong I was. I've used the Aphogee 2-Step Keratin treatment in the past and I loved it (When I was transitioning). 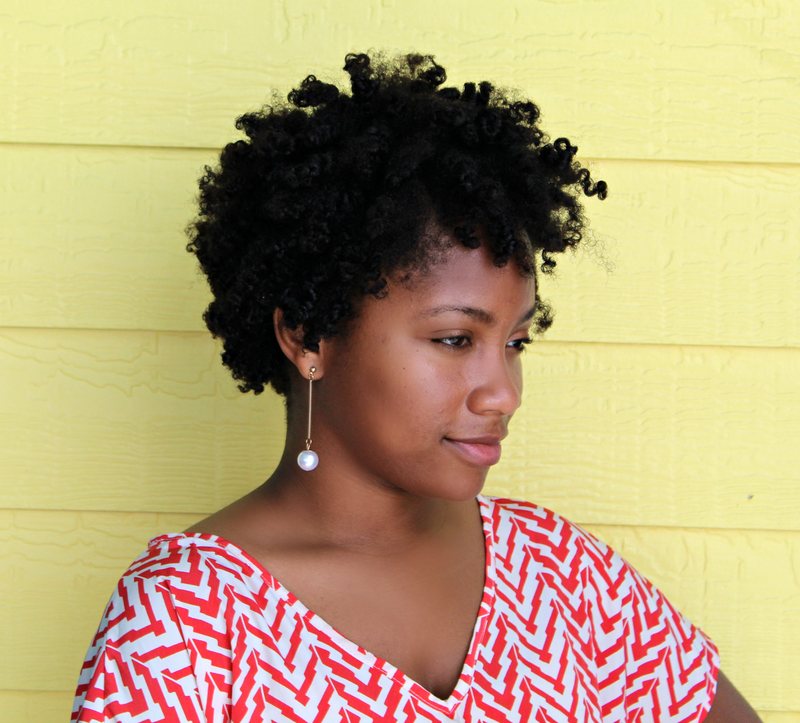 However, after my last wash day with this product, my hair was slightly stiff. I think I may have experienced minor protein overload. Needless to say, I was shocked at this change. For the nights that followed, coconut oil was my best friend, and was used to combat my stiff hair which finally softened by day 3. No more protein for a while for me guaranteed. I still think that this is a great protein treatment from Aphogee and most people who review it raves about it. Hmm maybe I missed it. Keep It or Toss It: Staring at the other packet in the corner...fearful. Any suggestions? 6 comments on "Product Review: Aphogee 2 Minute Reconstructor "
All Aphogee products make your hair stiff. Like you said, it's best when used with chemically treated hair. When I relaxed, I would follow up with orange cholesterol conditioner and my hair would be so much more softer. So true, I think it may have worked great for me while I was transitioning because of the chemically treated ends! Do you still use the aphogee/orange cholesterol combo? No, I'm all natural now. My hair would have too much build up if I used cholesterol. I don't use Aphogge protein treatments but I still use the leave-in which doesn't make your hair stiff but still strenghthens. Ok lol I think I'm going to give my hair an Aphogee break until I learn how to use it. Thanks for commenting. I say keep it. I've been experimenting with only using protein on my ends and I really love the way that it's working thus far. Perhaps not all of your hair needed that dose of protein. Or next time you can follow it up with a deep moisturizing treatment. Thanks KLP and as you said, I only applied it to the ends and followed with my It's a 10 deep conditioner. Any suggestions on another deep treatment?